Cannabis in modern times! Taking dabs is a modern way to enjoy marijuana. When properly made this is one of the healthiest way to ingested THC next to edibles. Please enjoy the journey of cannabis in 2017 with us at YourCannaLife! Dabs are a type of concentrated cannabis extract, which have become popular in places where cannabis is legal. There are many different ways to consume marijuana, but there’s a new trend that’s starting to take over. It’s called dabbing, and in some places it’s now even more common than smoking or vaping. Dabbing might sound like something you do to clean a stain on the carpet, but it’s actually a way of consuming marijuana that provides a heavy dose of active ingredients (cannabinoids) in a small package. Dabbing is more similar to vaporizing than it is to smoking, but the whole concept can be quite confusing for those just starting out. 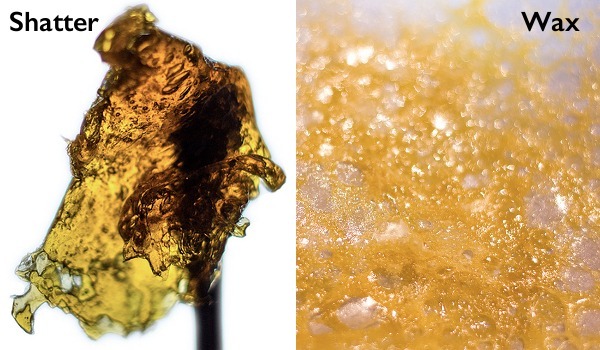 Lucky for you, here’s a rundown on everything you need to know about dabs and how to use them. Dabs are a type of marijuana extract that users vaporize to get high. There are many different types of dabs available today, but the most common ones are shatter, wax, and butane hash oil (BHO). The main difference between these dab products is the method used to make them. “There are a lot of differences with how they’re made and which solvent you’re going to use in making the extract,” says Josh Medows, extraction technician at Best Value Vacs, a company which sells equipment for producing dabs. Different extracts and oils used for dabbing are sold in states with legal marijuana, such as Colorado and Washington. The reason why dabs are so popular is that they contain much higher concentrations of THC than buds do. Some extracts can contain as much as 70-90% THC, so dabs can be a very effective way for medical marijuana users to quickly get the amount of medicine they need. The process of dabbing involves using a device similar to a bong called a dab rig. Using a hand-held torch, you heat up a piece called a nail until it’s red hot, then use a metal utensil called a dab tool to take a small amount of extract, dab it on the hot nail, and inhale. The extract should instantly vaporize and produce a strong and smooth hit. Compared to smoking, dabbing provides quicker and more efficient delivery of THC into the body. The water pipe can be any marijuana bong converted into a dab rig using the necessary parts. You can also buy dab rigs that are specifically designed for dabbing, but these can get expensive. “(The cost) depends a lot on which type of dab rig you want,” says Andre Levert, owner of Psychonaut, a headshop in downtown Montreal. The nail is the part which you heat up with the torch to vaporize the extract. It’s placed in the same spot where the bowl would go in a water pipe. You can buy nails in a variety of different materials, but the best ones are usually quartz or titanium. You can also find electronic nails, but they are less common and can cost up to $300. The advantage of an e-nail is that you don’t need to use a hand torch to heat it up. “Some people prefer the taste of the quartz, even though titanium shouldn’t have any taste in it either. I’m assuming it’s just titanium-plated and not full titanium. Titanium keeps the heat longer, and you can’t break it, but it will be much more expensive than the quartz,” explains Levert. The dome is an additional piece that goes over the nail. It’s just there to trap the vapor while you’re dabbing. Domes aren’t always necessary, however. You may be able to do without one if you have the right type of nail in your rig. The torch is a handheld propane torch. For this, the most popular option with most users is a creme brulee torch. It’s compact, and easily ignites with the pull of a trigger. The dab tool, also called a wand, is a stainless steel utensil that resembles the pick that your dentist uses to scrape plaque off your teeth. You use it to pick up a small piece of extract and dab it on the hot nail. 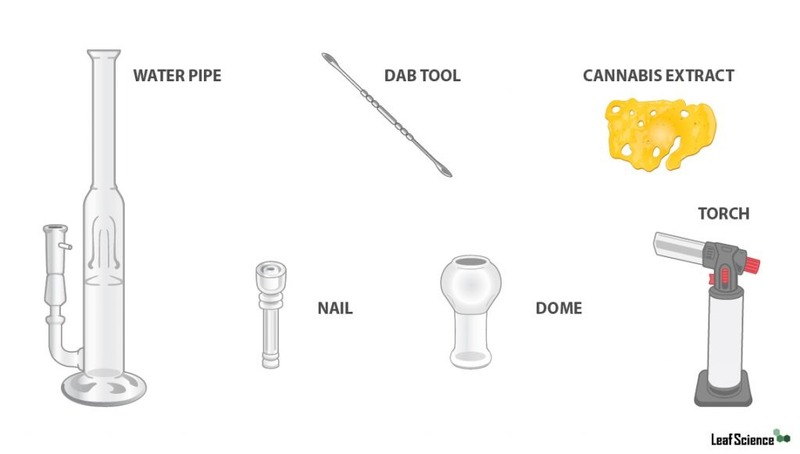 There are many types of dab tools out there, the difference between them being the shape on the end. The type of extract you end up with depends on your extraction method, and there are several methods available today. Cold water extraction with bubble bags is the oldest method, and is mainly used to make hash. The Rosin method is the latest one making waves, and it involves using heat and pressure with no solvents. Supercritical CO2 is another one, but the equipment is very expensive, making it unlikely that you’d do it at home. Today, the most popular method for making dabs is butane extraction. There are two problems with butane extraction. Safety is an issue because butane is highly volatile — it can cause a fire or an explosion if the process isn’t carried out correctly. The second problem with butane extraction is that once you have your extract ready, there will still be some solvent left over. You have to get rid of all that solvent through an additional process called purging, and that involves more equipment. “With purging, you’re going to use either a vacuum chamber or a vacuum oven. Vacuum ovens seem to be the most popular,” Medows explains. Generally speaking, you would need an extractor and a vacuum oven to create your own high-quality extracts at home, but the gear can get very expensive. If you want to buy a dab rig, there are a lot of parts involved and you should be able to work out a deal on a package with everything you need. Nowadays, with the popularity of dabs at an all-time high, the necessary gear can be found at just about any headshop. Thanks for explaining what you’d need in a typical dab rig. My cousin wants some glass dab accessories for his birthday. I like to make educated purchases, so it’s good to know what accessories are available. He’s probably referring to a glass nail like the one you mentioned. If you have any questions feel free to ask us at anytime.